Computer and gear maintenance might be the most unsexy part of long-term travel. But, if you travel with a laptop, camera equipment, smartphone, tablet, chargers, portable espresso maker, and a football-sized tangle of accessory cables, you know all that stuff gets dirty on the road. Dust and debris have a way of working into every nook and cranny of keyboards, lens filters, USB ports, and all the buttons on your travel gadgets. The question becomes: how to clean it all simply and effectively when you get home? While on the road, I love Giottos’ Rocket-Air Professional Blower. It strikes a good balance of being gentle enough that it won’t harm even the most sensitive electronics (like a digital camera sensor), but strong enough to blow away most dust. Because it’s compact yet sturdy, I always travel with one. But, once I get home and find the real stubborn dust that’s collected in the crevices of my gear, I always need to give everything a more thorough cleaning. Compressed air cans are an effective tool. They’re like little leaf blowers for your gadgets — a simple way to shoo away dust and debris. But, they contain harsh chemicals and create unnecessary waste, so I’ve used them less and less over the years. All of which led me down the path to find the best canless air duster. They’re exactly what they sound like: electric-powered air dusters that do exactly what canned air is supposed to do. But, they produce a lot less environmental waste. One electric air duster can purportedly replace 5,000 compressed air cans. That’s a small mountain of waste not ending up in a landfill. … strongest unit ever! It produces an incredible blast of air at over 260 MPH and runs for over 15 minutes straight. This unit is equal to over 5,000 cans of traditional duster … if you use a lot of canned air and want the most power possible you need this unit. Great for cleaning large computers, server rooms, camera lenses and mirrors, high-end medical equipment, displays in retail stores, complex circuit boards and so much more. 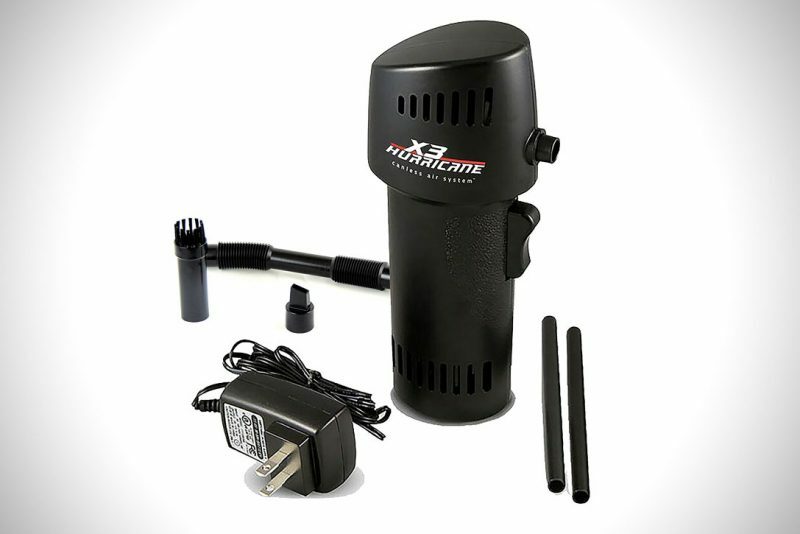 The X3 Hurricane is Canless Air System’s flagship product. It’s big, loud, and industrial strength. Frankly, it’s overkill for most travelers. 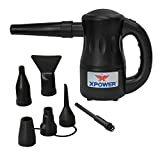 But, if you’re serious about keeping your mobile and photography equipment squeaky clean, I think it’s worth the investment for the strongest canless air duster they offer. Compared to typical compressed air cans, the X3 Hurricane is larger but not by much. The battery pack can keep the motor running for a solid 15 minutes which is far longer than most travelers are likely to need just to clean off their gear. It seems like the X3 could be made smaller and lighter by halving the battery size/capacity. To be clear, this isn’t a “travel gadget” in the sense that you’ll be taking it with you on the road. You certainly could as it’s quite portable. But, I prefer to pack as light as possible and, with the integrated battery pack, this compressed air alternative is just too heavy for me. I use the X3 Hurricane to clean my gear only after returning home. Canless Air Systems offers a less “industrial strength” solution, however. Their Special Edition Canless Air System offers many of the same features as the X3 Hurricane, but costs just two-thirds of the price. This thing is loud. I’m talking “hide the cat and get ready to piss off the neighbors” loud. Functionality: Does the X3 Hurricane Actually Work? At first, I was worried the 260-mph claim would be too harsh on electronics. That sounds like an unnecessary amount of force just to dust off a laptop, a smartphone, and especially a digital camera. But, in my experience: yes. The X3 Hurricane works exactly as advertised. In my not-at-all-scientific testing, I found it to be almost as strong as a can of compressed air. I’d say it’s 80-90% as strong. Plus, the air flow is not only strong but steady. Regular compressed air cans weaken to the point of being unusable after a couple of minutes. Plus, they can spray harmful liquids and chemicals all over your electronics. If there’s one downside to the X3, it’s the noise. This thing is loud. I’m talking “hide the cat and small children” loud. It’s actually surprising for such a small device. The first time I revved it up, I thought there might be something wrong with it. I was a little concerned it was going to shred to pieces in my hand. Using an admittedly crude decibel measuring app, I tested the X3 in the relative quiet of my basement where the ambient noise averages 26 decibels. By comparison, the X3 Hurricane’s motor creates a cacophonous 85 decibels of high-pitched, vacuum-cleaner-like whirring. Thunderclap, chain saw 120 dB Painful. 32 times as loud as 70 dB. X3 Hurricane Canless Air System 82 dB 2 times as loud as 70 dB. Possible damage in 8-hour exposure. Passenger car at 65 mph at 25 ft (77 dB); vacuum cleaner (70 dB) 70 dB Arbitrary base of comparison. Upper 70s are annoyingly loud to some people. Conversation in restaurant, office, background music 60 dB Half as loud as 70 dB. Fairly quiet. None of this is too surprising though. Compressed air cans rely on a chemical process to quietly expel air out of the can. Because the X3 uses an electric motor to accomplish the same feat, it must move a ton of air very quickly through a very small space. I’m not a professional engineer, but I’m guessing it would be difficult to design a device like this that’s actually quiet — or even quieter. This might be an issue if you’re traveling. I can’t even imagine using this in a hotel without management calling the cops on you. But, for anyone planning to use it at home, I don’t think it’s an issue. It is what it is. With a suggested retail price near USD $150, the X3 Hurricane Canless Air System is a premium accessory for tech-loving travelers. Sure, it’s loud enough to wake the dead. But, the decent portability, long battery life, and reliable air power of the X3 Hurricane make it a good buy for eco-conscious travelers. 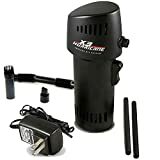 The X3 Hurricane Air Duster can be purchased for around USD $150 direct from Canless Air Systems. The X3 is the most POWERFUL Canless Air System ever! With speeds of over 260mph nothing else even comes close to its power. This unit comes with every attachment we make, you get everything you need. 30 day money back guarantee if you don’t love it! This unit is cordless, doesn’t contain any liquids, recharges just like a cell phone and is totally safe to use on anything and everything. With air speeds of over 220mph the cordless Canless Air System O2 Hurricane Special Edition is the MOST REVOLUTIONARY cleaning tool since the vacuum. The Special Edition can be used for cleaning computers, keyboards, printers, paper shredders, the interior of your car, blinds, model airplanes, cameras, plastic plants, the top of fans and almost anything else you can think of. There is almost nothing this cannot do and it is 100% SAFE AND RECHARGEABLE! Each unit is rechargeable just like your cell phone and will provide you with hundreds of hours of cleaning time. 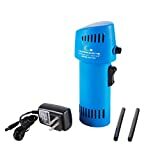 The O2 Hurricane Special Edition is as a perfect replacement for canned air, computer duster and any other kind of air duster. Most “canned air” does not contain air, it contains chemicals that have been known to kill when inhaled. Not only is our unit 100% safe but the amount of use you get EQUALS OVER 1000 CANS OF CANNED AIR!!! We want EVERYONE to try our Canless Air System which is why we are now offering a 30 DAY MONEY BACK GUARANTEE. If you don’t absolutely love it we will give you 100% of your money back and pay for the return shipping. This means you an try this amazing cleaning product with ZERO RISK! Plus, we offer a SIX MONTH WARRANTY! You have nothing to lose and everything to gain so TRY IT NOW RISK FREE!!!!!! Never again will you have to buy air duster, canned air, computer duster, a case of canned air, gas duster, air compressors, keyboard cleaner,dust off, computer duster cans, or any of the other products that go by those names. The Canless Air System REPLACES THEM ALL! – PLEASE NOTE: Our unit cleans using wind speed created by a motor and impeller. It does not compress air so the way it cleans is by using wind rather than pressure. This allows it to clean without damaging electronics but it also means the PSI is low. If you need a high PSI device this is not for you. Have you used the Hurricane Canless Air System? Or any similar canless air duster before? What was your experience? Disclosure: Vagabondish received a complimentary X3 Hurricane Canless Air Duster from Canless Air Systems in advance of this review. Read our view on sponsored content.